Blowout Sale! Save 52% on the RQIER Boho Vintage Anklet Bracelet Heart Pendant Flower Charm Ankle Chain Bracelet Beach Foot Jewelry(Boho Anklet) by RQIER at SCRHI. Hurry! Limited time offer. Offer valid only while supplies last. ◆Material:Alloy,hypoallergenic,harmless to your body. 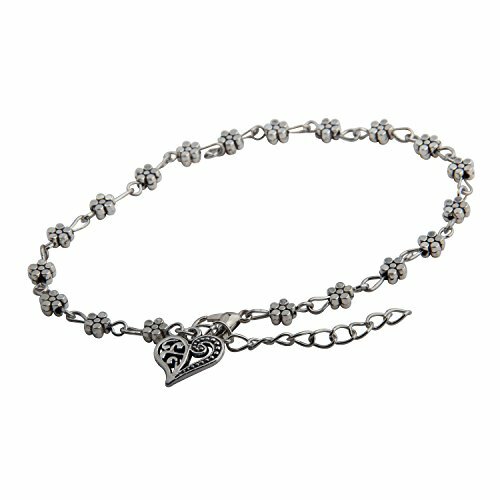 Anklet Chain Length: 24cm(9.44inch)+4.5cm(1.7inch) extension. ◆Great gifts for all girls, ladies, women, sister, mother, lover and wife. ◆Catch This Beautiful Accessories for Her or Yourself. Great gift on Birthday, Wedding, Anniversary, Holiday, Christmas, Mother's Day, etc. ◆Packaged 1 * Anklet. Each Anklet Bracelet individually Packed in Elegant Jewelry Pouches,and Ready For Gift Giving. If you have any questions about this product by RQIER, contact us by completing and submitting the form below. If you are looking for a specif part number, please include it with your message.